- Fashion Ecstasy on 二月 6, 2017. It was a great evening of sampling Lambretta Restaurant‘s delicious Neapolitan pizzas, pastas and other dishes while watching the Academy Award Winning film “Life is Beautiful” in a convivial setting. 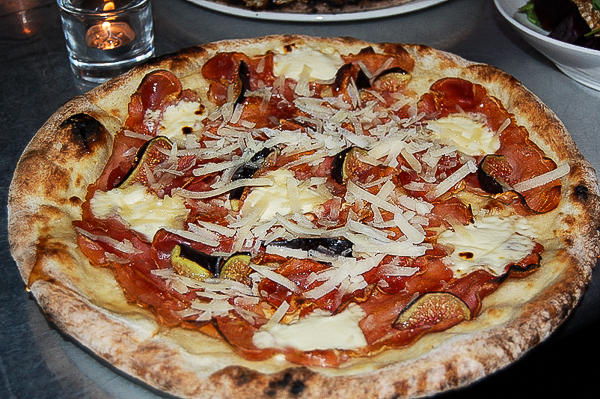 Located in the vibrant Roncesvalles Village (known by foodies as “the neighbourhood” to dine in ), Lambretta is known for its outstanding Italian cuisine. Celina Blanchard opened Lambretta two years ago and had previous experience with her restaurants Villa and Strada, both were located in the Bloor West neighborhood. Head chef MJ Jacques is known for her work at the famous The Senator Restaurant. Working together, along with their attentive staff, they have taken Lambretta to great heights as a favourite Italian dining spot. The evening started off with a series of Aperitivi (appetizers). The attentive staff were concerned about any dietary issues and made a point of accommodating those who had any allergies. The Panelle Fries ( chickpea polenta fries), Polpettini ( (beef and pork meatballs with housemade pomodoro sauce) and Suppli ( Tomato risotto fried, breaded and stuffed with fior di latte cheese) all were truly delicious. The salad choices were perfect. 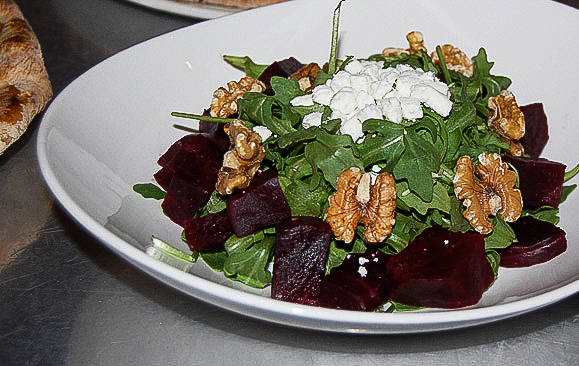 We enjoyed the Beet and Chevre Salad ( roasted red beets, arugula, goat cheese, walnuts with champagne vinaigrette) and Caprese Salad (tomatoes, fior di latte, basil and extra-virgin olive oil). We could’ve been content with spending the evening just with these Aperitivi, but we needed to make room for the main dishes. The Corso Principale (mains) were a variety of pizzas and pastas. For the pastas, we tasted the Penne Pesto Pasta ( penne with chicken in a pesto cream sauce) and Crema Di Funghi (penne with mushrooms, caramelized onions in a white wine cream sauce). Both were mouthwatering. After dinner, we enjoyed Tiramisu and other pastries. Located at 9 Roncesvalles Ave, Toronto, Lambretta Pizzeria & Wine Bar is open daily for lunch and dinner, and even a has a special kids menu. It is a great place in Toronto to enjoy some authentic Neapolitan cuisine.